I am always a little sad to see the end of October, as it is my favorite month of all, but now it's on to November with several different Thanksgiving/potluck (Kickasserole!) pies to start planning! I am starting to try out recipes-- on Sunday I tried this apple cider cream pie recipe with a rye crust. It was good, though I'm not sure it will make it onto the Thanksgiving short list (more on that pie soon). 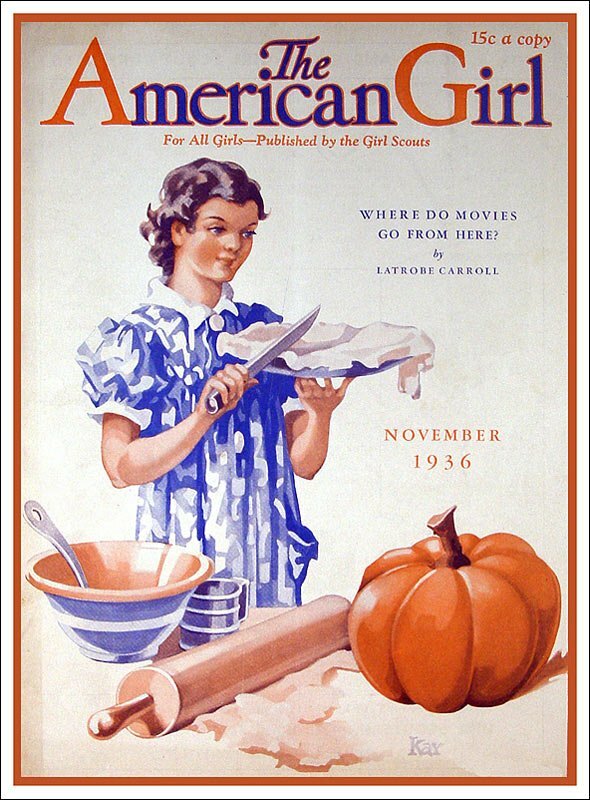 In the meantime, here's the cover of the 1936 issue of American Girl magazine to get you inspired. What a neat photo. I am always sad when October ends too. I love the month as Fall sets in, but now getting ready for Thanksgiving and then Christmas. Loving your blog. Thanks!